A girl in a picture takes a sick child into her dreamlike world inside the picture, soothing the child and sending her back in better health. Lovely, meaningful pictures in light-filled colors illustrate Brighton's story, related effectively in short, declarative sentences. "I am in bed. I am hot. I am ill," says a feverish child. She stares at the picture on one wall, a snowy country scene of long ago. 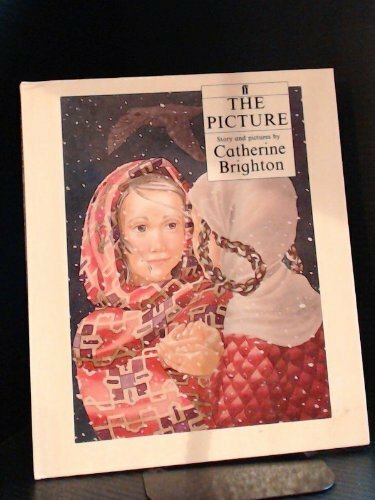 A girl dressed in old-fashioned clothes comes out of the painting and takes the narrator back to medieval times. "She opens a door. Her family are there." They treat the visitor royally until it's time for her to be escorted back home and to bed. The British author-artist makes the dream adventure so real that readers and tiny listeners will believe it and want to experience it again and again.